When Jake was a baby, I'd heard of baby legs. They seemed cute, but maybe a little too cutesy for my style. Or maybe too cutesy for a boy. I don't know, but they just never happened for us. Now I have a little gal. A little gal that got a "no pants/skirts/waistlines across her back incisions for several weeks" verdict when we left the hospital. Amidst all my crazy baby girl clothes shopping, this possible actually never occurred to me. So when I came home to just a couple of sleepers that Eliza could wear, I was scratching my head. Then... baby legs. Perfect! 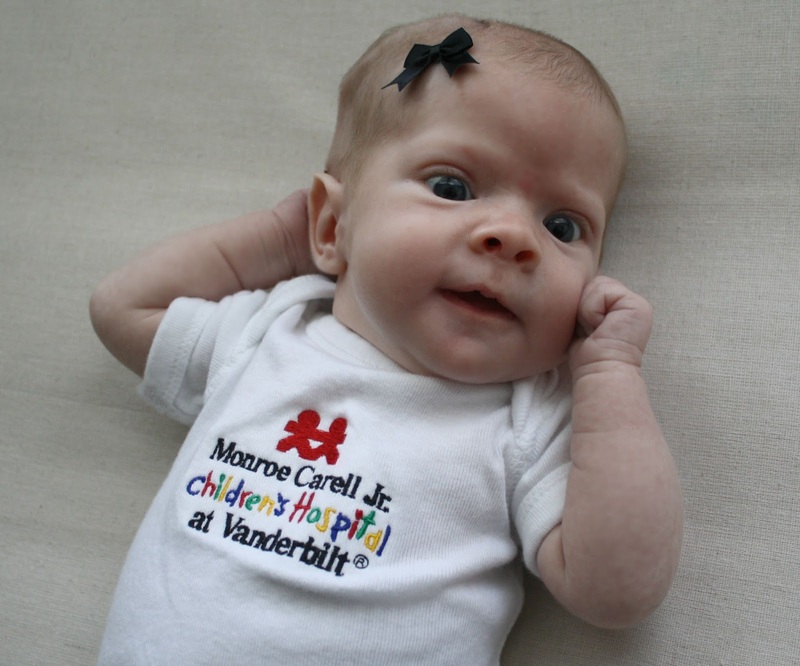 She could still rock all those adorable onesies without being half naked or cold. Obviously I didn't want to wait to order some online. Girlfriend needed them, like, yesterday. Nor was I going to pay $12-$15 a pair for them. Nope. So with the help of my sewing machine and some $2 knee high socks from Target, Eliza got some baby legs pronto. 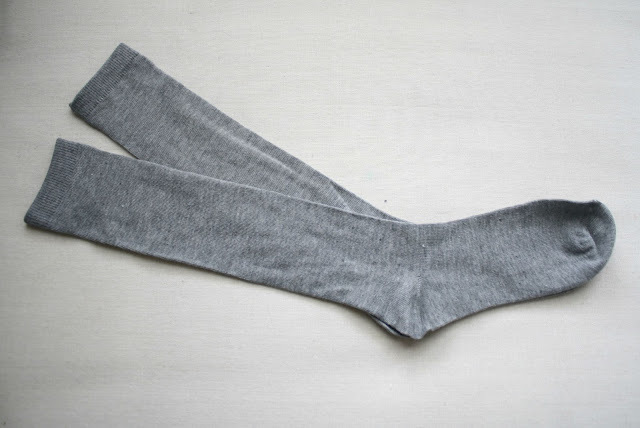 And with all of the crazy fun knee high sock options that I saw, I have no idea why anyone would pay for the real thing rather than make their own. So start with those knee socks. And go ahead and hack off the feet. The length of your baby legs will depend on the size munchkin. 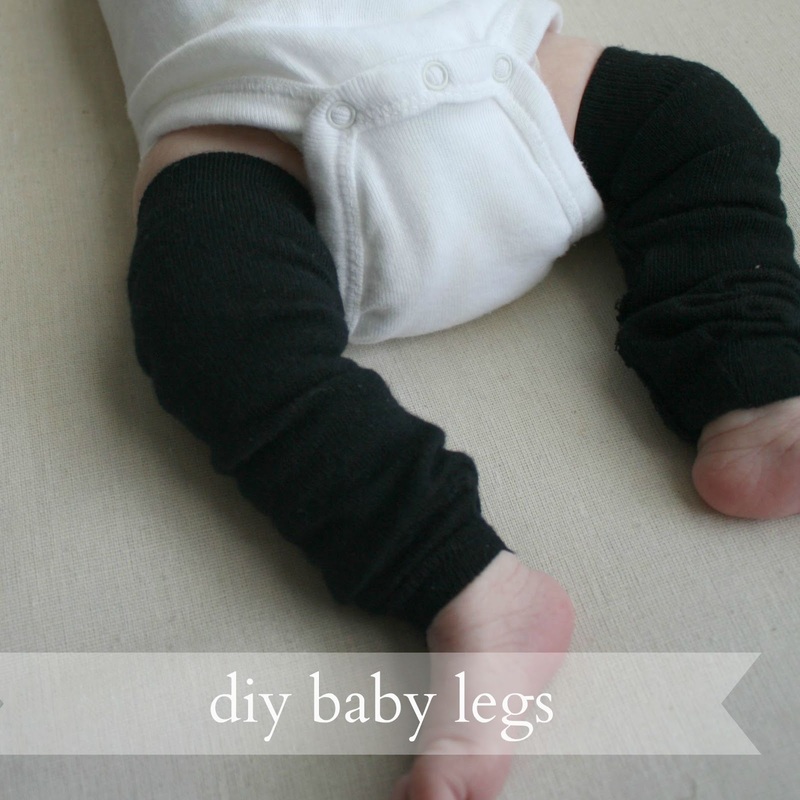 I'm making these for the tiniest of newborn legs and using a length of 10 inches total. 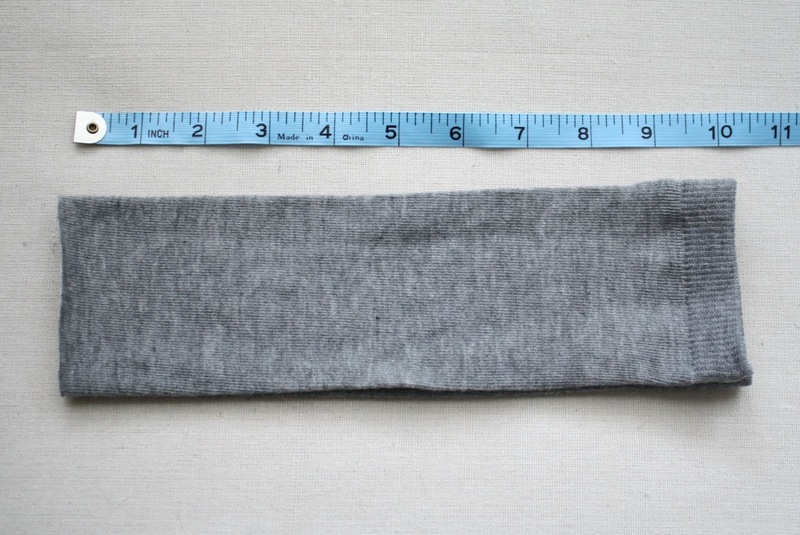 If you have a larger baby, I'd recommend measuring them and adding a little length on. Keep in mind that you want to be able to bunch them a little too. 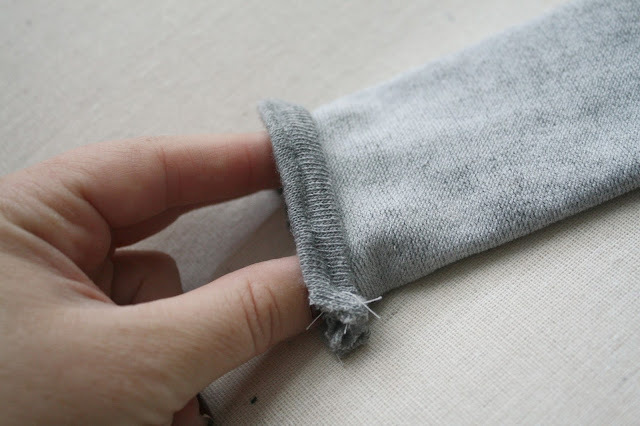 If the width fits, trim off the excess. 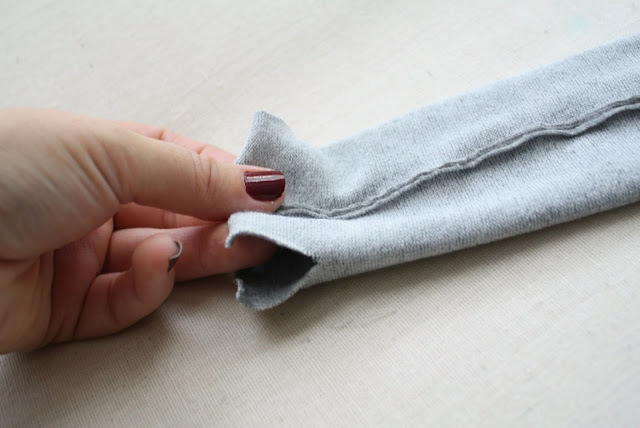 The elastic that was once at the knee end of the sock will work perfectly, so we just need to add something similar to the other end. 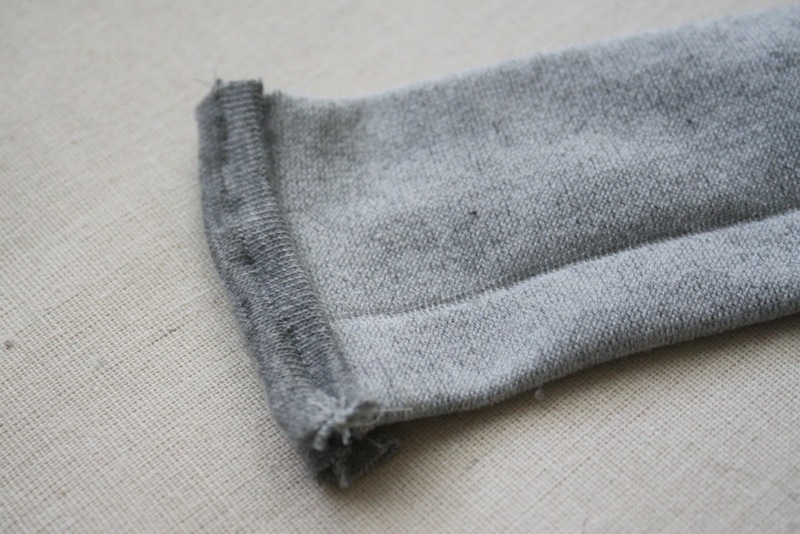 Center your seam and cut two slits on either side at the unhemmed, foot end of the sock. They should be about an inch and a half to two inches long and this will give you two little flaps at the top of each sock. Fold the flap over once, and then again, and then hem along the edge. 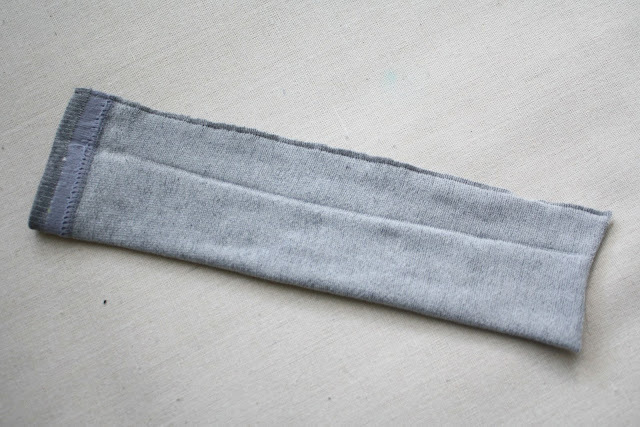 Then flip the sock over and hem the top of the other flap. Don't worry if those corners look a little rough. Once the top edge of the flaps are done, sew a diagonal line starting about an inch about the edge, coming in towards the center. This will cut out those ugly corners and make a nice tailored bottom edge to fit around the ankles. 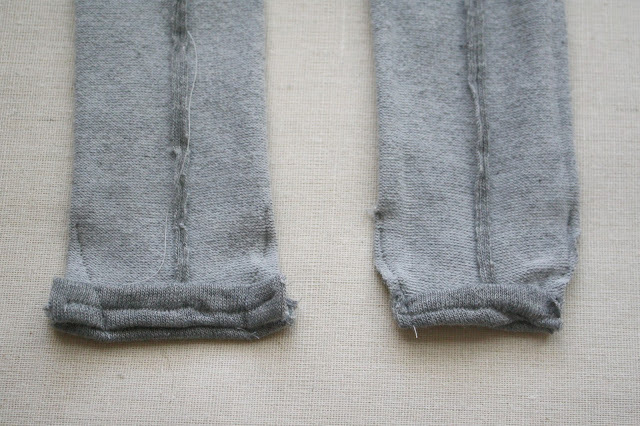 Trim off your excess and flip those bad boys right side out! Yay! Baby legs! 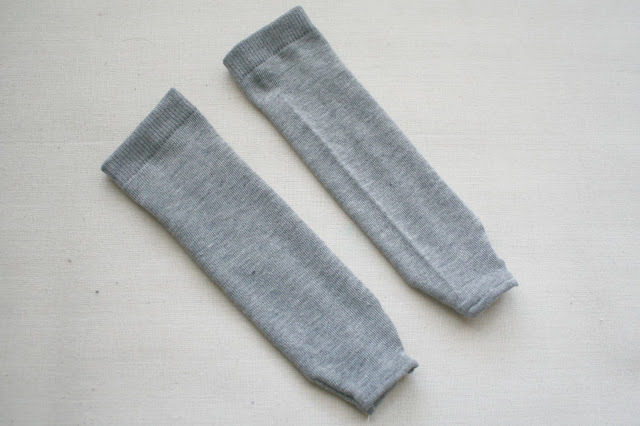 Me being, well, me, I decided to make a pair in the basic colors - white, black and grey - to be worn with just about any onesie she already had. I'm well aware that that likely means I'm not doing this whole baby legs thing correctly since most of them are in crazy patterns and flashy whatnot. Oh well. At least my gal is a little warmer now! I think she likes them!